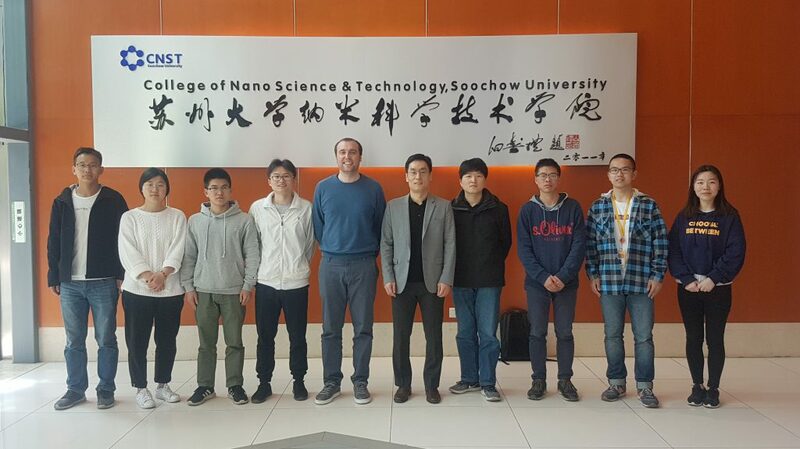 Prof. Byungha Shin from the Korea Advanced Institute of Science and Technology (KAIST), who is an expert on energy harvesting using new materials, visited our laboratory last Monday 15th of April of 2019, and gave a talk about his recent progress. He shared with us very interesting strategies on electronic structure modification and discussed with our students. We are very happy to learn from his work and enjoyed the visit a lot ! Prof. Byungha Shin and Prof. Mario Lanza with some students from Lanza group.